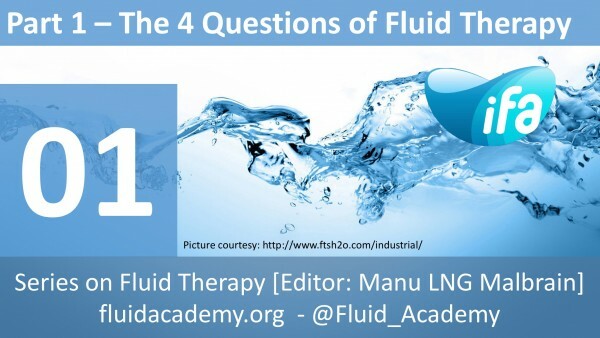 At this stage, the participants of the ISICEM and IFAD meetings were asked the first multiple choice question (MCQ1): “Taking into account the results obtained with the transthoracic cardiac ultrasound, what is your treatment of choice at this stage?” Possible answers were: 1) norepinephrine; 2) dobutamine; 3) fluid bolus; 4) diuretics or 5) other. Figure 3 shows the results of the three votings. Based on the cardiac US findings physicians at ISICEM and iFAD seemed reluctant to fill the patient (only 6 to 13% stated to give a fluid bolus) and most of them were in favour of administrating dobutamine (39 to 64%). Figure 3. Multiple choice question 1 (MCQ1): “Taking into account the results obtained with the transthoracic cardiac ultrasound, what is your treatment of choice at this stage?” Distribution of answers (in percentage) on MCQ1, blue squares denote the voting results of the ISICEM 2012 meeting, red squares show the results of the iFAD 2012 meeting, and green squares denote the voting results of the ISICEM 2013 meeting. The FiO2 was increased to 100% and the PEEP was set according to the low flow pressure-volume (PV) loop (as can be automatically constructed with the Draeger Evita XL ventilator). Figure 4 shows the PV loop with detection of a lower inflection point at 16 cmH2O. Figure 4. Low flow pressure volume (PV) loop showing a lower inflection point at 16 cmH2O and thus a best PEEP at 18 cmH2O. During the PV loop, that also acted as a recruitment maneuver his systolic blood pressure decreased to 40 mmHg, so norepinephrine was started and swiftly increased to 0.4 ug/kg/min. Dobutamine was also started at 4 ug/kg/min. Saturation remained poor at 88% and he was switched to high frequency percussive ventilation (HFPV) with the VDR4 ventilator (Percussionaire Corporation, Sandpoint, Idaho, U.S.A). A transpulmonary thermodilution PiCCO catheter (Pulsion Medical Systems, Munich, Germany) was inserted in the femoral artery at this point. The evolution of the hemodynamic parameters obtained after insertion of the PiCCO catheter together with the respiratory variables are listed in Tables 2 and 3. The initial hemodynamic picture showed a normal cardiac index (CI) of 3.5 L/min.m2 (normal range 3-5), a relatively low intravascular filling status with a GEDVI of 757 ml/m2 (normal range 680-800), a very low global ejection fraction GEF of 13% (normal range 25-35) but a very severe capillary leak with high extravascular lung water index (EVLWI) of 38 ml/kg predicted body weight (normal range 3-7). The high EVLWI was suggestive of hyper permeability edema in view of the high pulmonary vascular permeability index (PVPI) of 7.4 (normal range 1-2.5) . Table 2. Evolution of hemodynamic parameters obtained with transpulmonary thermodilution (PiCCO). Table 3. Evolution of respiratory and oxygenation parameters. At the same time however the patient seemed to be fluid responsive with a high pulse pressure variation (PPV) of 19% (normal range <10). Heart rate was regular at 119 beats per minute with a MAP of 65 mmHg. The CVP was still 16 mmHg. His response to a passive leg raising (PLR) maneuver was positive (15% increase in CI and MAP) confirming that he was volume responsive despite the fact that he had such bad pulmonary edema (EVLWI 38) with a critical oxygenation status (P/F ratio of 57, at IPAP of 34 cmH2O and PEEP of 15 cmH2O).